This entry was posted on March 24, 2013 at 19:25 and is filed under Teenage Mutant Ninja Turtles, Toys with tags 1990, Action Figure, Albany, Cobra Viper, G.I. 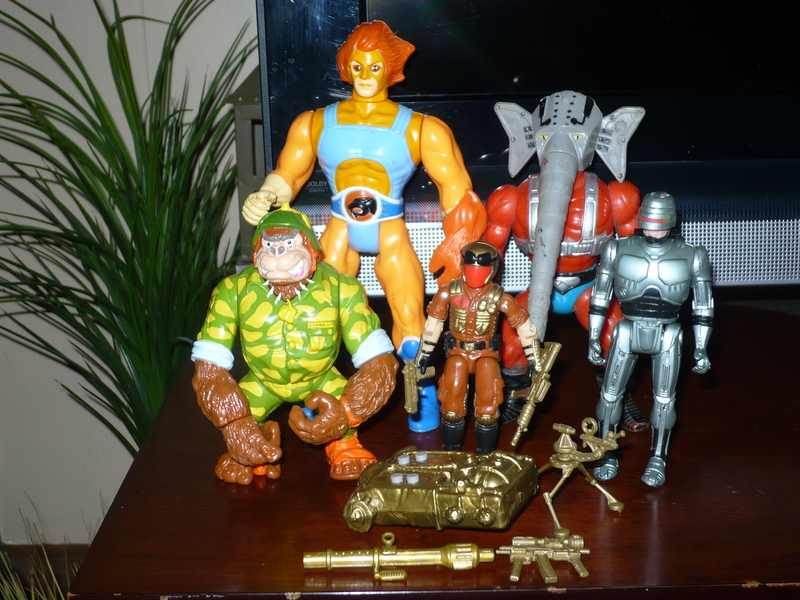 Joe, Lion-O, MOTU, NY, Robocop and the Ultra Police, Sgt. Bananas, Snout Spout, Sonic Fighters, Teenage Mutant Ninja Turtles, Thundercats, Toy Show. You can follow any responses to this entry through the RSS 2.0 feed. You can leave a response, or trackback from your own site. Good call there on the Cobra Viper. I never cared for the electronic backpack thing, but I love the colors of the figure. As a Cobra collector one can never have enough Vipers either…no matter what color they are! Nice Robocop!Used to love all the chromed out vehicles from that line. That Viper was quite a steal ! Good job ! Dig that Robocop too ! I didn’t remember Snout Spout from He-Man. At a first glance he looks like a baddie!